I was lucky enough to meet our midwife through the yarn shop. There’s something about getting to know a person through knitting. Their habits are like little tells that give you a small insight into who they truly are. The things we do for a living, the shapes of our families, the hobbies that fill the gaps in our days; these are all things that show others who we are. But our preferences for color, texture, challenge, craft, perfectionism (or not) somehow take us deeper. Knowing someone as a fellow knitter first can help make it easier to take your relationship to the next level, whether as friends or caregivers. This is one of the things that helped make the decision to go with a home birth midwife so peaceful. I had seen Rachel knit. I had seen her with her children in the shop. I had read how she thinks about knitting and life. There was a connection before she even listened for this new soul’s heartbeat in my belly. All of this is to say that of course, I had to knit her a thank-you gift. 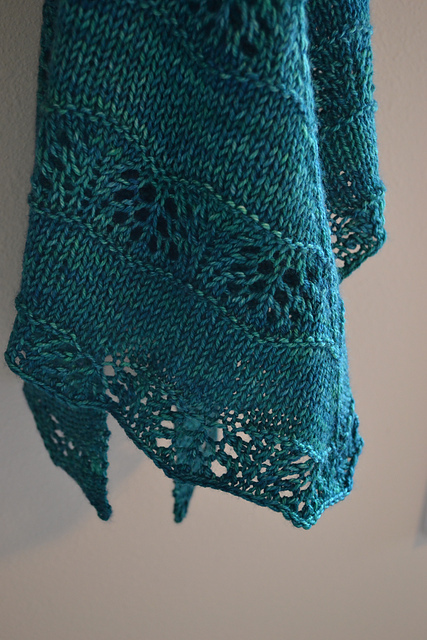 Midway through the pregnancy we took a vacation to Hawaii, and I brought this shawl along as my travel knitting. I worked on it by the pool and thought about our growing baby and my dreams for his birth. Stitches flew off the needles, and as the shawl grew, so did my confidence that the pregnancy was going to go smoothly. 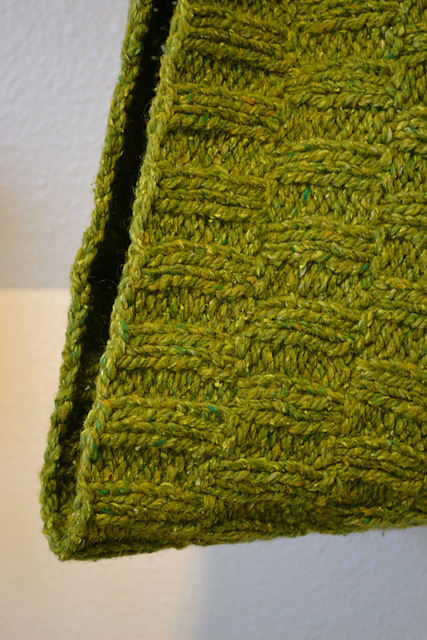 When that shawl was finished and the baby was still a wip, I cast on a cowl for my other midwife. This one was fast and perfect for my nervous hands as we went through a false-labor alarm and all the feelings that brought on. Both projects were finished well before Calvin made his appearance earthside. It felt so nice to be able to make these important women something special with my hands while we waited. And that is the true gift on knitting: it helps us find peace and calm when the world is doing its best to challenge us, and it helps us show love to ourselves and to others.